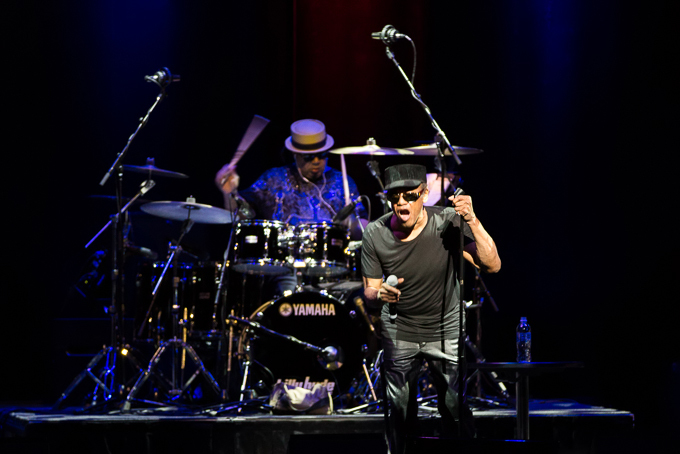 On Tuesday night soul legend Bobby Womack and his band transformed Melbourne’s Hamer Hall into a gospel church, delivering classic after classic before an enraptured audience. It was a noticeably age-varied crowd that came to fill out the auditorium, perhaps an indication that the 69 year old has won the attention of a new generation of fans via his recent collaborations with Damon Albarn. The last time Womack toured Australia was as a guest vocalist with Albarn’s Gorillaz, which in turn led to the pair collaborating on his ‘comeback’ album, last year’s The Bravest Man in the Universe. While the Gorillaz tour sold-out multiple nights at the biggest stadiums throughout the country, this is the first headlining tour of Australia that Bobby Womack has carried out in his 50+ years of performing. Unsurprisingly, there was a general air of excitement and expectation as people chattered and found their seats. 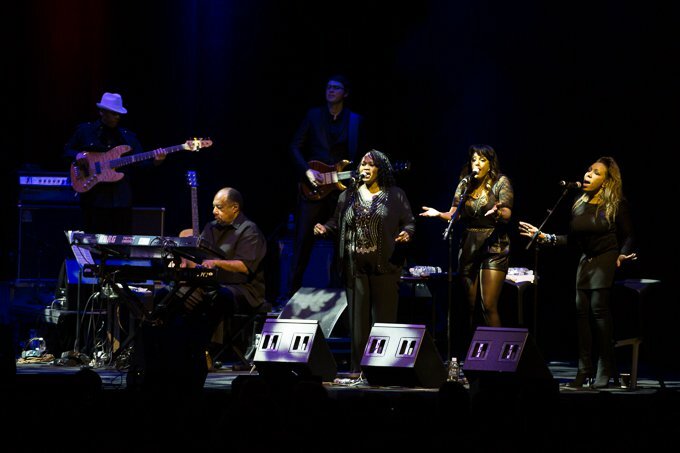 The thirteen-piece touring band, consisting of drums, percussion, bass, guitar, two keyboardists, a four-piece horn section and a trio of backing vocalists, which included Womack’s daughter, GinaRe Womack, took to the stage about 9pm. After the obligatory instrumental introduction, the singer was led on by his assistant Arthur, who wears the costume of a hotel valet, and took his seat at the centre of the stage. Looking in remarkably good shape considering both his age and the fact that he successfully beat cancer only a year ago, Womack, adorned in a smart leather suit, black hat and dark sunglasses, wasted no time in thanking everybody for coming before launching into his most famous of compositions, “Across 110th Street”. Unsurprisingly, given the amount of people onstage, the sound was enormous, whilst still retaining the soulful grit present throughout Womack’s work. Although the vocals were a little lost in the mix during the first song, as the band moved into a particularly dirty blues version of 1973’s “Nobody Wants You When You’re Down and Out” it was evident what a strong voice the singer still possesses. His range has obviously become diminished, but his voice has this wonderfully weathered quality, a baritone growl, which he used to incredible effect. More than merely a backing band, this was clearly an ensemble performance centred around Womack, and, although it is was possibly contrived, you got the feeling from the way they interacted that this was a close-knit group. Taking cues from the traditions of gospel music, the band made a point of crying out when the mood took them, often calling encouragement to others in the group after or before a solo section. This could easily have come off as cheesy, but the performers avoided hamming it up and the gospel roots of the music instead helped make this at least appear unaffected. Moving quickly through his greatest hits, “Harry Hippie”, and in particular the verse featuring vocalist Altrinna Grayson whose powerful voice produced an audible “ooooh!” from the audience, prompting Womack to get her to repeat the entire verse again, was one of the night’s highlights. “Daylight”, “I Wish He Didn’t Trust Me So Much”, and the upbeat groove of “Looking for a Love” all had the audience on their feet, clapping, cheering and stamping. Interestingly, the one song that stood out as being quite different and broke up the set list somewhat was “The Bravest Man in the Universe”, the only inclusion from last year’s comeback album of the same name. While on record the song is a sparse track, consisting mainly of drum and piano loops, here it was used as a simple groove over which to conduct a structured jam and to showcase the individual musicians. First the horns and then drummers took solos, as conducted by Womack, whilst the bass, guitar and keys held down the groove by repeating the simple repetitive parts of the Albarn production. Picking up the pace again with 1981’s “If You Think You’re Lonely Now”, “Woman’s Got To Have It” and “A Change is Gonna Come”, a tribute to his friend Sam Cooke and a spotlight moment for daughter GinaRe, the band closed their set with gospel number “Jesus” before leaving the stage. Although the house lights immediately came up, the audience was going nowhere, and continued a long standing ovation until the point where some began to gather their coats and head to the door. Thankfully, Arthur the valet/bellhop/hype man emerged asking us to chant ‘Bobby Womack’, followed quickly by flamboyant percussionist Tony Flores who seemed to enjoy the attention more than anyone else and was pleased to be back onstage. The rest of the group re-emerged and Womack was helped to his seat before launching into 1972’s “I Can Understand It”. Clearly exhausted, Womack cut the song’s ending short, explaining to the crowd that his voice was giving up on him before delivering an incredible rendition of 1973’s “I’m Through Trying to Prove My Love To You”. This was a fitting finale as Womack had without a doubt shown that he has nothing to prove – he is the real deal, a living, breathing treasure of popular music who can still blow the roof off any venue he wishes. 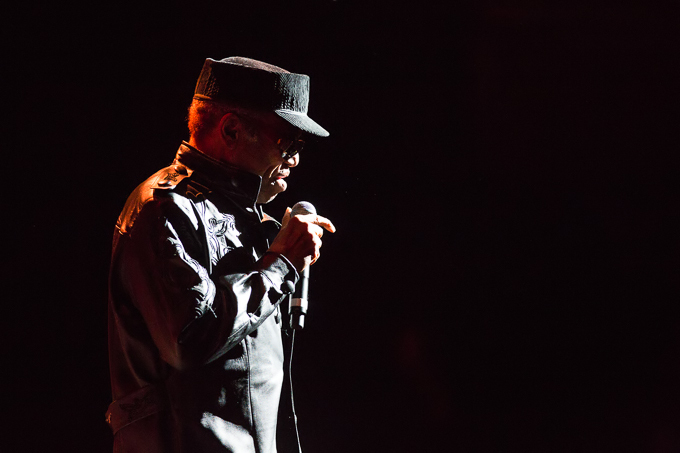 The music was powerful and the passion was sincere, Bobby Womack screamed, crooned and spoke about pain, hard times, love and hope to an enraptured crowd. Although his legacy and set list span more than fifty years his performance and songs are still vital – long may his legend continue. Originally published on The AU Review on 23/05/2013. View original article.